Skis Ogasaka Triun SL 2018th year were cardinally redeveloped in comparison with the previous model year. The skis had a more radical side cutout, they became stiffer, the shape of the deflection also changed. First of all, I was concerned about the rigidity, since the skis of the previous model year were already quite tough, much stiffer than the skis of the “race stock” from other manufacturers. Therefore, even more greater rigidity of the skis of 2018 caused concern about whether it would be possible to bend skis on the Moscow hills, where the speed is less than in mountains. The answer could only be by snow. Snow is not good yet. 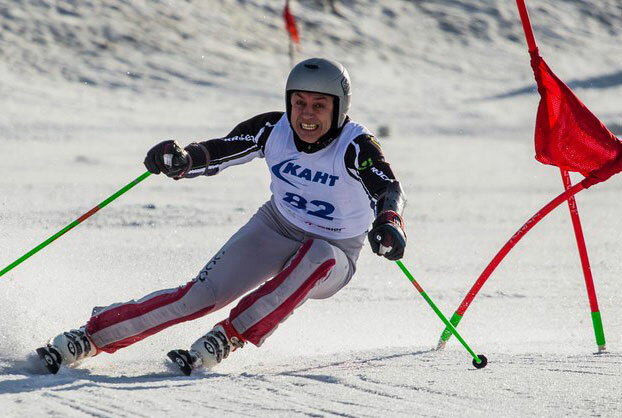 There was no good hard cover in December 2017, and there was no opportuntity for testing in the slalom course. Nevertheless, the first impressions already exist. In my “field of vision” there are three bogatyrs who will bend the skis of any rigidity. 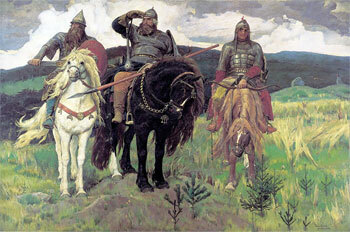 These are Sergey Kuznetsov, Sergey Beshentsev and Boris Proshlyakov. In this order, they dealt with the Ogasaka SL-2018. Sergey Kuznetsov tested the skis first, taking them directly from the hands of Iwamoto san. The effect was stunning. After three descents, in each of which the skis were bent “like the sausage”, Sergei without unnecessary words ordered from Iwamoto san a pair of skis. The impression about the skis were not described in detail, just said that last year’s skis “shot” so that he was afraid to fly through tips, and in these He is sure for one hundred percent. A few days later crossed on the hill with Sergei Beshentsev and persuade him to spend the day on Ogasaka. The taming of skis by Sergei Beshentsev was not so smooth. 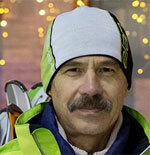 Sergey felt that he could not cope with skis right now, but he could achieve it in future. On skis I can say the following. The coating on the test day was unstable. Sometimes it’s ice crumbs. Nevertheless, some properties appeared immediately. First, the sharp entrance from the toe. For me it is very unusual. Secondly, a very powerful holder, regardless of the coating. It seems that my flight is connected with this. I often try to go to the extreme angles of the edge. So it was this time. In the turn on the crumb it seemed to me that the skis began to swim. Usually, the inside one undermines the outside one and I fell down on side. But it was not there. The inside ski cut into the cover and continued to turn, to which I was not at all ready. To summarize, I can say that I can do a lot of physical training on these skis. For sure it will be the best of the tested skis for the slalom course of the Moscow region (of course I’m talking about myself). But it takes some time, as for taming a fast horse. My first impressions were only from stiffness. I could not bend the skis, so could not even feel the radical side cutout, “did not reach” the snow by the middle of the ski. But it is not very strained, because the new ski should be a little “swept”, and preferably under a strong skier. It’s like a musical instrument, it has to be played out before it gives out its true sound. Indeed, after Boris, the skies became obedient. Especially I liked the moment of edge change. Skis are so stable and “snap” compared to my skis, that I can safely carry knees and body through skis. In general, without a slalom course the ride is just fine, while to test skis on course there was no oportunity yet. Although yes, the rigidity of the skis is noticeable. In the Ogasaka SL skis of previous year, the rigidity seemed to have disappeared altogether as a parameter, the ski was carving the arc and “loved” it most of all. It was necessary only to tune the shift of bindings up to you. The skis of this year need to “tame” in every turn, do not forget to press. Perhaps this is due to the rejection of the concept of “rail”. 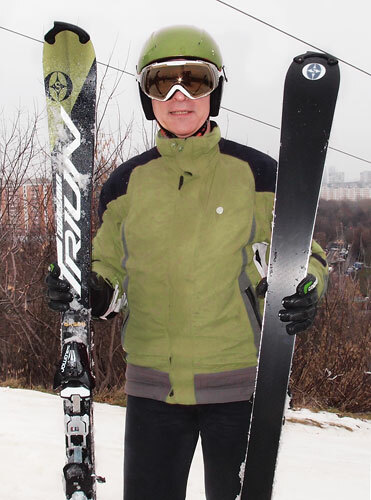 A couple of days ago I managed to give skis to Alexander Zakharov. 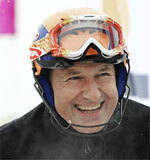 Alexander is engaged in ski testing professionally, he keeps a testing center in Kant (one of ski resorts inside Moscow). He helped me healthily in 2001 (16 years ago!). I then considered the Völkl P50 slalom skis for myself, as I sat on this brand. Alexander in Kirovsk, using his official position (he was in the team of testers), gave these skis a try for a few descents. This turned out to be very important, because I did not like these skis at all and did not order them. Here is a review from Alexander Zakharov, the original is here. Place of the test slope № 5 of Kant. Snow was not good. There were also working ranges, and even and relatively hard areas. Ogasaka company annually improves and modifies its slalom skis, making them unlike the previous ones. In this season, changes have been made to geometry. Firstly, the radius in a 165cm length became 11m! Catalog data: Width of the toe / waist / heel 120/65/104 mm, radius 11.0 meters. Secondly, the ski got a rocker on the toe. The rocker is very noticeable when viewed, but almost insensitive in skating. However, the ski very smoothly and passed the ridges of “working off”! Perhaps this was the influence of the rocker. The general feeling is that the ski is quite different from last year’s. She became more active. For example, it makes quite clear that it is time to finish the arc and move on to a new turn. At this moment, a clear, but not sharp, impact is felt. In general, the ski itself sets the pace of the slalom track. The ski is quite tough and working. But it is working – that is, it is necessary to work, but it is not necessary to “plow” it! I liked very much that the ski does not punish hard for mistakes made. At the same time, clearly showing them – here you do not load the toe, and here sat to inside ski … But at the same time, with full understanding of your mistake, there is no accident. Beginning of the turn is easy and clear. I must say that the ski has lost some of the aggressiveness of the toe, as it was in model of last season. But the initiation of turn was still light, but, like more smooth. The edge grip could not be fully assessed due to a sufficiently soft coating. But noticeably, as in relatively hard areas, the skis are clearly catch the arc. With the appropriate load, of course. If you ignore the vertical work, it may skid the arc. In general, I liked how the ski adequately and predictably responds to all actions. 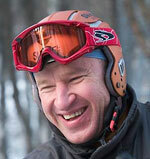 It is almost always clear how the behavior of the ski will change with some purposeful actions. Very good vibration damping! Even a sufficiently broken slope does not pose any particular problems. Purely subjective, I liked this ski more than model of last year. It seemed more active and maneuverable. But this, of course, purely personal opinion! For information, here are previous notes about this model of skis.